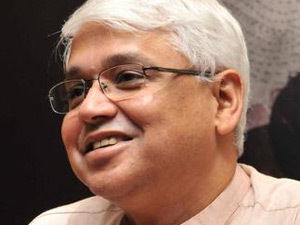 NEW DELHI: Writer Amitav Ghosh is in the middle of an unsavoury award controversy. The writer of award-winning novels like The Shadow Lines and The Hungry Tide has won the million-dollar Dan David Prize. Won for "Rendition of the 20th Century," he'll share it with Booker-winning author Margaret Atwood. But their acceptance of the prize has invited strong protest from groups supporting the academic and cultural boycott of Israel. Ghosh - the third Indian to win the prize after chemist C.N.R. Rao (2005) and musician Zubin Mehta (2007) - and Atwood are scheduled to receive it in Tel Aviv on May 9. Because the award's partly funded by the Tel Aviv University, the writers have received 'open letters' and emails urging them to refuse it. "Stand up to your principles, Margaret, and set an example for other decent intellectuals.... A total boycott of Israel in response to its total occupation of Palestine," wrote Antoine Raffoul of London in an email to Atwood dated April 11. This and Atwood's response defending her decision and calling the boycott a "dangerous precedent," were published on the website of the US Campaign for the Academic and Cultural Boycott of Israel. 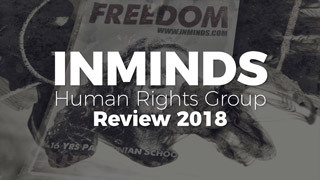 Another group, the British Committee for the Universities of Palestine (BRICUP), wrote an open letter signed by film-studies scholar Haim Bresheeth and biologist David Pegg among others, to Ghosh. Slightly combative in tone, it says, "It's surprising to have to raise Israeli colonialism with a writer whose entire oeuvre seems to us an attempt to imagine how human beings survived the depredations of colonialism. Gosh, even the Dan David judges like the way you evoke "the violent dislocations of people and regimes during the nineteenth and twentieth centuries. "...What can you be thinking of? Please, think again." Ghosh responded on email and later in a magazine piece. First, he makes the same point as Atwood that "this prize is awarded by a university in conjunction with a private foundation: it is not awarded by the state of Israel." He further writes, "I do not believe in embargoes and boycotts where they concern matters of culture and learning," and clarifies that he "did not turn [the Commonwealth Prize] down but "withdrew [his] book from competition because [he] disagreed with the specific mandate of that prize." BRICUP, "an organization of UK based academics, set up in response to the Palestinian Call for Academic Boycott," didn't let it pass. They wrote another letter on April 23. They've done their homework. Of Tel Aviv University, they write, "The University is built on the land of the destroyed Palestinian village Sheikh Muwanis, whose residents were deported. Its University Review for Winter 2008-9 boasts of 55 joint technological projects with the Israeli army. The head of TAU's Security Studies Program was a former head of the R&D Directorate of the Israel Ministry of Defense.... The university appointed as a Law lecturer the colonel who provided the legal justification for Israel's unrestrained assault on Gaza in 2008/9 - who could be eligible for prosecution for war crimes according to the Goldstone Report. Autonomous?" Controversy apart, the Dan David is a major prize. And it also has a unique rationale. The three awards of a million dollars each are for achievements in "fields...chosen within the three Time Dimensions - Past, Present and Future." It awards work, "scientific, technological, cultural or social," that has had a major impact on our world. Consequently, literature does not always feature on the list and the 'Future' category is invariably dominated by science. The winners are 'Dan David Laureates'. Its elastic criteria means that some 'laureates' aren't even human. The cities of Jerusalem, Istanbul and Rome jointly claimed the award in 2004. The category's obvious - Past. 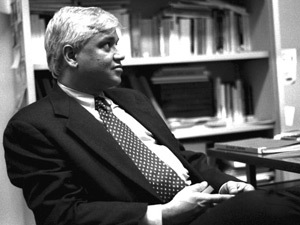 Ghosh: Do not undermine the Palestinian struggle for freedom! The Palestinian Campaign for the Academic and Cultural Boycott of Israel (PACBI) was extremely disappointed by the recent statement you issued in response to pleas from individuals and groups around the world urging you not to associate your name with Israel’s efforts to white-wash its crimes. Your acceptance of the Dan David Prize comes at a time when the international movement to boycott Israel is gaining ground in response to Israel’s flagrant violation of Palestinian human and political rights; we appeal to you to reflect upon the implication of your acceptance of this prize. You titled your statement 'It is not awarded by the state of Israel’, yet the prize is administered by a university that is funded by the state and, more crucially, is a leading academic partner of the state in developing weapons and justifying war crimes. The prize ceremony is presided over by the Israeli President, Shimon Peres, the architect of Israel's nuclear weapons program, whose record boasts a series of war crimes and grave violations of human rights. Only to cite one: on April 18, the Israeli army shelled the UN shelter in Qana, killing 102 civilians, mainly women, children and the elderly. Many more were injured. Human Rights Watch, the UN and Amnesty International subsequently established that Israel's attack on the UN base was deliberate, disproving Israeli propaganda to the contrary. Shimon Peres said at the time, "In my opinion, everything was done according to clear logic and in a responsible way. I am at peace." The Qana massacre led to Shimon Peres being denied the job he coveted at the time: that of UN Secretary-General. Additionally, studies by the Alternative Information Center (2009), Adalah (2003), and Human Rights Watch (2001), among others, corroborate and document accusations that Israeli educational institutions, including TAU, pursue discriminatory racial policies that are meant to prevent Palestinians in Israel from enrolling. These policies make it yet more difficult for Palestinian citizens of Israel to obtain faculty positions. Any encounter at an Israeli university thus nearly always excludes or marginalizes Palestinian voices. You note in your statement that you object to boycotts and embargoes when they concern matters of culture and learning. Aside from the crucial fact that the Palestinian call for an academic and cultural boycott of Israel targets institutions, not individuals,  why should cultural and learning institutions be exempt from boycotts if they are implicated in the atrocities as any other sector? Culture and learning were not exempt in the South African case. The Palestinian civil society campaign for Boycott, Divestment and Sanctions (BDS), which is a strategy endorsed by an overwhelming majority of Palestinian unions, NGOs, cultural organizations, among others, as a legitimate non-violent and effective means of struggle against Israel’s oppression, has been largely inspired by the South African struggle against apartheid. When you reject our call for the academic and cultural boycott of Israel, you undermine our struggle for freedom and ignore the voices of almost all prominent Palestinian artists, writers and other cultural workers  and the many international intellectuals who have joined our boycott . As was the case in South Africa, where international solidarity played a crucial role in bringing down apartheid by boycotting the economic, educational and cultural institutions of the apartheid regime, we sincerely hope you will not accept any prizes offered by complicit Israeli institutions, until Israel fulfils its obligations under international law and fully recognizes the Palestinian people’s right to live in full equality and freedom in their homeland. We call upon you not just to be 'appalled’ by Israel’s actions, but to show real solidarity with us in our struggle for freedom by refusing to associate your name with Israel’s atrocities. It can’t have escaped your notice that Margaret Atwood, with whom you’re sharing one of this year’s Dan David prizes, has received a number of public appeals, from Palestinians, Israelis, and others, to refuse the prize, or not go to Tel Aviv to receive it, or at least to speak out against Israeli war crimes (those in Gaza are just the most recent). We thought you shouldn’t be left out. It’s surprising to have to raise Israeli colonialism with a writer whose entire oeuvre seems to us an attempt to imagine how human beings survived the depredations of colonialism. Gosh, even the Dan David judges like the way you evoke ‘the violent dislocations of people and regimes during the nineteenth and twentieth centuries’. Can it be possible you think Israeli colonialism hasn’t involved any ‘violent dislocations’? That it’s softer, kinder, nicer somehow than the colonialism that shattered the ancient polities of India, stole their land, smashed their industries, absconded with their wealth, and so on? You surely know it isn’t. You surely know that to drive out half the Palestinian population, and keep the rest under subjugation, requires ruthlessness and cruelty – the same ruthlessness and cruelty and imperial chutzpah with which the British ruled India. ‘At the stroke of the midnight hour, when the world sleeps…’ -- some of us still can’t hear Nehru’s great speech without getting tears in our eyes. But what about ‘life and freedom’ for the Palestinians? Don’t they, after more than sixty years of ethnic cleansing, torture, collective punishment, siege, bombardment, destruction of their houses, their olive groves, their businesses, their hopes for their children, their children’s hopes – don’t they, at the very least, deserve to have writers of the stature of yourself and Margaret Atwood refuse to collude with their oppressors? What can you be thinking of? Please, think again. Against the advice of some activists, I went to Burma/Myanmar in 1996/7 when I was researching my book The Glass Palace. I am convinced that by going there, and writing the book I did something that was, in some small way, useful; staying away would have achieved nothing. I travelled to Sri Lanka in 2001, to deliver a lecture during one of the worst periods of the conflict; I have been ‘guest of honour’ at a book fair in a Gulf country where millions of my compatriots live and work in conditions of helotry, without any civil rights and religious freedoms. Many areas of my own country, India, are racked by violent conflicts. Some have mentioned my action in relation to the Commonwealth Prize. I would like to point out however that I did not turn that prize down; I withdrew my book from the competition because I disagreed with the specific mandate of that prize and did not wish to see my work placed within that framework. Not for a moment would I have considered severing my connections, such as they are, with Britain and the British literary or academic worlds. So I am afraid this is an issue on which we must agree to respectfully disagree. You have been offered the Dan David Prize, to be presented at Tel Aviv University. It is always nice to have your achievements recognised. And if $1 million comes with it, even nicer. Your response to criticism, including ours at BRICUP, has been popping up on too many websites to mention here. Only in one (www.outlookindia.com/article.aspx?265154) did you remember to add a paragraph expressing dismay at the policies that Israel is pursuing in Gaza and the West Bank. i) Palestinians’ options for resistance to the massive strength of the IDF and the ruthlessness with which Israeli state power is deployed against them are extremely limited. Palestinian civil society has overwhelmingly asked the international community for a boycott of higher education and cultural institutions, as part of a general programme of Boycott Divestment and Sanctions. By accepting this prize you are refusing to do the one thing that you can do to support the Palestinians. ii) Why must universities be so “regarded”? 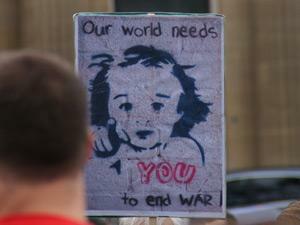 Is it a moral or logical imperative to do so, even when the facts shout out the opposite? Israeli universities are involved up to the neck in the dispossession of the Palestinians, and in the maintenance of the Occupation. Take Tel Aviv University, where the Dan David Prizes are based and where the ceremony will be held. The University is built on the land of the destroyed Palestinian village Sheikh Muwanis, whose residents were deported. Its University Review for Winter 2008-9 boasts of 55 joint technological projects with the Israeli army. The head of TAU’s Security Studies Program was a former head of the R&D Directorate of the Israel Ministry of Defense; he holds the rank of Major General in the Israel Defense Forces, and is a member of the Knesset. The university appointed as a Law lecturer the colonel who provided the legal justification for Israel’s unrestrained assault on Gaza in 2008/9 – who could be eligible for prosecution for war crimes according to the Goldstone Report. Autonomous? iii) It seems that you don’t rule out all boycotts as such (eg consumer boycotts); but you give no reasons why universities and cultural institutions should be specifically off limits. 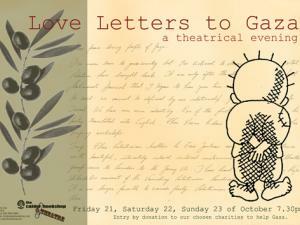 You seem to think that the boycott called for by Palestinian civil society is of individual artists and professors. It is not. The free flow of ideas generated by researchers, authors, artists will not be impeded by the boycott. 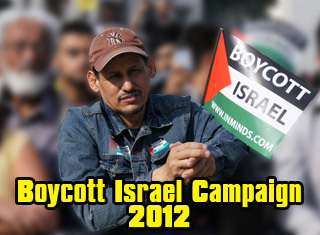 The boycott is specifically of Israeli institutions. 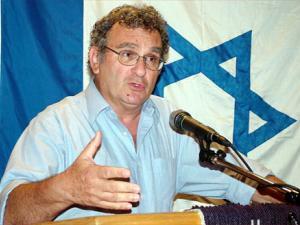 By all means speak with, write to, have friends who are Israeli cultural figures. Don’t go to Tel Aviv and take this Prize that is “headquartered” there (according to Dan David himself). iv) There seems to be some rather fine logic chopping in your argument about the Commonwealth Prize, but let that pass. There is no reason to boycott all states which behave badly. Boycott is a political weapon, not a moral imperative. Use it when the cause is just, when the most relevant people have asked for it, when normal politics has failed, and when boycott has a chance of being effective. Israel fits that description. v) Israel is indeed a special case. What other country that claims to be a democracy has occupied a land belonging to others since 1948, and taken yet more territory, in contravention of innumerable UN resolutions, since 1967? Slowly but surely that occupation has poisoned Israeli society to its roots. 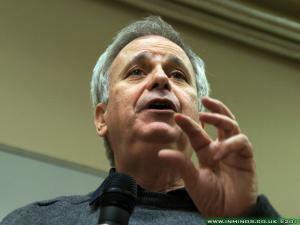 You quote Sari Nusseibeh in support of Israeli universities as havens of progressive views. If only! Nusseibeh is isolated as the only leading Palestinian academic who has opposed the academic boycott. The offer of the Dan David Prize gives you a great opportunity. By rejecting it and giving your reasons you will give hope to the oppressed. As a master of prose I am sure you will find compelling words that will attract the attention of the world. Fifty intellectuals write to Amitav Ghosh asking him to to reconsider accepting the Dan David prize (to be awarded on 9th May by Israeli president Shimon Peres) and to respond to their appeal to support the Palestinian call for boycott, divestment and sanctions. Many of us who count ourselves among your readers, admirers and friends have been saddened by your choosing to accept the Dan David prize which you are sharing with Margaret Atwood this year. Both you and Atwood have written extensively on social and political issues, and your positions are important in the ongoing debate on the economic, cultural and academic boycott campaign in support of the Palestinian cause. In rejecting the appeals of a number of organisations, including those from Palestinian Campaign for the Academic and Cultural Boycott of Israel (PACBI), students’ organisations and some Israeli groups, you have argued on two different counts. One is that a boycott of Israel is tactically wrong; the other is that cultural and academic institutions should not be boycotted or embargoed. Let us take the first point. We are sure you agree that the present situation calls for response – to the continuing siege of Gaza; the brutal occupation regime in which Palestinians have to cross military checkpoints every day; and the policies of the apartheid state of Israel in which Arab and Jewish members have different rights. The options for resistance open to the Palestinians are limited, given this situation on the ground. But in any case, the tactics to be attempted is for the Palestinians to decide; and the overwhelming majority of Palestinian civil society is calling for a boycott of Israel. We, who are neither participants in their struggle nor living under occupation, can best respond by being part of the international solidarity backing their struggle. The second point you raise is that cultural and academic institutions should not be boycotted because they are independent of the state. Apart from the complicity of Tel Aviv University in the occupation regime (which has been chronicled by the PACBI in their letter to you ), the Dan David prize is presided over by Shimon Peres, the President of Israel. The boycott call is restricted to the boycott of Israeli academic institutions. Nobody is arguing that individuals should be boycotted as you seem to believe. Nor is there a call for not travelling to Israel. So the comparison that you make between travelling to Myanmar and accepting the Dan David prize does not appear relevant. Also, if we are to accept your argument against the boycott of cultural and academic institutions, we would then have to condemn the academic boycott used against South Africa. We are sure that this is not an argument you would advance, knowing the value this boycott had for the South African movement. In fact, responding to their call for a boycott is one clear way to let the Palestinians know that we have heard their call for support from the international community. 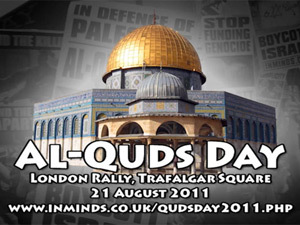 This is definitely something we can indeed do to assure the Palestinians that they are not alone. There is still time for you to reconsider accepting the prize. 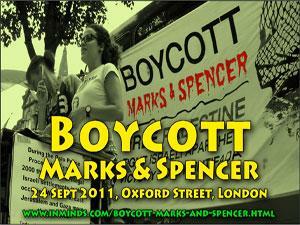 We do hope you will respond to our appeal to support the Palestinian call for boycott, divestment and sanctions. We wish to express our deep disappointment in your decision to accept the Dan David prize, administered by Tel Aviv University and to be awarded by the President of Israel. As a writer whose work has dwelled consistently on histories of colonialism and displacement, your refusal to take stance on the colonial question in the case of Israel and the occupation of Palestine has provoked deep dismay, frustration and puzzlement among readers and fans of your work around the world. Many admired your principled stand, and respected your decision not to accept the Commonwealth Writers Prize in rejection of the colonialist framework it represented. As scholars, writers and activists of South Asian origin and those working on South Asia and on anti-racist, anti-colonial, anti-imperial politics at large, based largely in the United States like you, but also in South Asia, we think this is an important moment to consider the reasons why South Asians should take a principled stand, along with others, in refusing to legitimize a state guilty of war crimes and illegal occupation and instead join the growing movement for an academic and cultural boycott of Israel. Supporters of Israel have used a number of arguments to oppose the boycott, which unfortunately seem to be part of your rationale for accepting the prize as well. It is also time to consider why those who have taken a principled stand in other cases, as in the boycott and divestment movement for South Africa, find it difficult to take the same stand in the case of Israel. In doing this, we join a chorus of voices opposing your decision in India. In a recent letter addressed to you, 50 prominent Indian intellectuals wrote, "In rejecting the appeals of a number of organizations [to decline the prize] ... you have argued on two different counts. One is that a boycott of Israel is tactically wrong; the other is that cultural and academic institutions should not be boycotted or embargoed. ... [T]he present situation calls for response -- to the continuing siege of Gaza; the brutal occupation regime in which Palestinians have to cross military checkpoints every day; and the policies of the apartheid state of Israel in which Arab and Jewish members have different rights. The options for resistance open to the Palestinians are limited, given this situation on the ground. But in any case, the tactics to be attempted is for the Palestinians to decide; and the overwhelming majority of Palestinian civil society is calling for a boycott of Israel. We, who are neither participants in their struggle nor living under occupation, can best respond by being part of the international solidarity backing their struggle. ... The second point you raise is that cultural and academic institutions should not be boycotted because they are independent of the state. Apart from the complicity of Tel Aviv University in the occupation regime ... the Dan David prize is presided over by Shimon Peres, the President of Israel." [The full letter available via http://newsclick.in/] This letter was a powerful one, especially since it comes from scholars in India, a country that has forged a close military and economic alliance with the US. A campaign opposing normalization of relations with Israel has also recently been launched in Pakistan (http://paksforpal.wordpress.com/). The argument that ties to Israeli academic or cultural institutions should not be severed is a critical one to be addressed as it goes to the crux of the academic and cultural boycott, which targets institutions, not individuals. A major report focused on Israeli academic institutions notes, "Israeli academic institutions have not opted to take a neutral, apolitical position toward the Israeli occupation but to fully support the Israeli security forces and policies toward the Palestinians, despite the serious suspicions of crimes and atrocities hovering over them. ... [A]ll major Israeli academic institutions, certainly the ones with the strongest international connections, were found to provide unquestionable support to Israel's occupation" ("Academic Boycott and the Complicity of Israeli Academic Institutions in Occupation of Palestinian Territories," Alternative Information Center, Bulletin #23, October 2009). Most Israeli universities are state-controlled and maintain programs of direct or indirect support of the military and occupation regimes, as does Tel Aviv University (TAU). In fact, "TAU has participated in 55 joint technological projects with the Israeli army over recent years. TAU's campus occupies the site of a demolished Palestinian village, Sheikh Muwanis, whose inhabitants were forcibly evicted in 1948" (Steven Rose, EMBO reports 11, March 2010, p. 151-152). A statement by BRICUP, an organization of British academics who support the boycott, notes that "the head of TAU's Security Studies Program was a former head of the R&D Directorate of the Israel Ministry of Defense. ... The university appointed as a law lecturer the colonel who provided the legal justification for Israel's unrestrained assault on Gaza in 2008-09, who could be eligible for prosecution for war crimes according to the Goldstone report." We are disturbed by your apparent belief that engaging in an academic boycott is somehow a violation of academic freedom. This fallacy is critiqued by many who point to the countless and ongoing violations of Palestinians' right to education by Israel, which has bombed and raided colleges and schools (including in its most recent war on Gaza in 2008-09); prohibited access of Palestinian students to their educational institutions through road closures, checkpoints and Jewish-only roads; and denied scholarships as well as educational materials to students in Gaza, where the educational system has been destroyed under Israeli siege (see Marcy Newman, "The Fallacy of Academic Freedom and the Academic Boycott of Israel," New Centennial Review, 8:2). In addition, for Palestinians living within the Israeli state that discriminates against them by law, there is "the discriminatory legislation that gives special benefits and credits to students from the Israeli Defense Force, which excludes Palestinian citizens of Israel," not to mention "the many well-documented examples of racist harassment by professors and Jewish students of Palestinian students on the campuses of Haifa and the Hebrew University in Jerusalem" (Rose; see also http://www.adalah.org/eng/). Furthermore, the right to academic freedom cannot trump support for other basic human rights and freedoms, such as the right to live in equality and dignity or the right to freedom of movement. Your own statement echoes another common rationale used by pro-Israel supporters, that to boycott Israel is to somehow treat it as exceptional, and different from other states that are also engaged in occupation or war crimes, such as, say, China or the US. This argument rests on another fallacy for it ignores the fact that Israel has exceptionalized itself -- it is a state that has consistently tried to set itself above international law, having been condemned numerous times for its violations of international human rights and by numerous UN resolutions that are consistently vetoed by the US. It is this unique status, in fact, that is exceptional, especially in the US where many states are denounced for their violations of human rights (including China and the US itself) but to condemn Israel's violence or racist policies is considered automatically "anti-Semitic." It is this silencing, especially in the US academy, that has created an exception for Israel through practices of defaming, blacklisting and harassing scholars or anyone who dares to publicly challenge the official line on Israel or name the systemic discrimination practiced by the state as apartheid, as Archbishop Desmond Tutu has described it. Perhaps a factor that dissuades many from refusing complicity with apartheid and occupation is the might of the Israel lobby in the US. There is a fear of the smear campaigns and coordinated attacks that inevitably follow and many prefer not to be burdened with the "other" boycott campaign, as it were, that intimidates and censors individuals. Yet, as in the case of the boycott and divestment movement opposing apartheid in South Africa, we wish to point out that these tactics of fear and desperation have been exposed for their moral bankruptcy and are being challenged by the gradually swelling tide of shifting public opinion. In fact, one tactical purpose boycott clearly serves is that of education, of inciting thinking, re-thinking and discussion. On college campuses across the US the divestment movement is growing, from Hampshire College and Georgetown University to the University of Michigan-Dearborn and UC Berkeley. There is a growing community of academics, students, activists, cultural workers and others who are speaking out against and refusing to legitimize the brutal excesses of this apartheid regime that has persisted into the 21st century. This network of individuals and organizations provides support for those who have the courage and principles to take this stand of principled solidarity. The question of solidarity is central here. That is the only way to avoid the charge of acceding to prevalent notions of Israeli exceptionalism. The call for academic and cultural boycott is thus clearly a way to encourage civil society to play a broader political role -- that is why it has the support of wide sections of Palestinian civil society. One of the most significant questions that call poses to us is simply this: How could those of us who oppose apartheid, occupation and colonialism not support such a call? The current controversy erupted when Ghosh was announced co-winner of the Dan David award, a new and very rich literary prize awarded by the University of Tel Aviv. The prize money for the category in which Ghosh won is $1 million, presumably to be shared by Atwood and he. 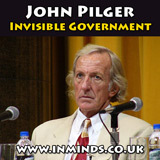 The controversy centers around the ongoing occupation of Palestine and the continuing violence on the West Bank, an issue that is at the heart of the USA’s own fiercely defensive (and often unjustified) involvement in Middle Eastern politics as well as a major cause of the ire and resentment felt by Islamic people worldwide. Well, in the interests of clarity, let me first say that I have friends in Israel I grew up and studied in school with, at a school owned and run by the head of the Jewish community in Mumbai. I lived in a mixed neighbourhood with many Jewish friends, including the son of the Rabbi of the Synagogue and one of my first publications was in a Hebrew anthology published in Tel Aviv. I’m still in touch with Jewish friends in Israel and elsewhere. And still, I believe Ghosh must refuse the award and use the opportunity to speak out against the continuing violence on the West Bank and Palestine. I can’t speak for Atwood, whose work I also admire hugely, but then again she’s a North American. Ghosh is an Indian and a humanist – at least, he comes across as one from his brilliant novels – and if an author of his stature and body of work succumbs to the lure of lucre and publicity thus, it will be a sad shame. After all, literary prizes are political statements packaged as literary prizes and the claiming of an author, in particular “third-world” authors of non-Caucasian non-Judeo-Christian backgrounds are always suspect in light of the high-handed manner in which such authors were roundly ignored for decades earlier. The very fact that authors like “us” are suddenly winning prizes all over has less to do with their undoubted literary talent than with the political correctness and positive PR association of such conferment. It would indeed be sad if Ghosh were being used in this fashion to lend legitimacy to a beleagured Israeli establishment. As for Ghosh’s claims that the award is given by the University and not by the state of Israel, well, that’s clearly naive since in Israel there is virtually no difference between state and individual any more, if there ever was. Especially for an event of such international importance. Get real, Amitav! Ditch the prize! Then again, after seeing the way he was marketed and packaged and sold to us by Penguin India and Crossword during the release of Sea of Poppies, and his initial reactions to the Dan David controversy, it looks like he’s going to do a Lalit Modi/Shashi Tharoor and take the self-righteous route. So be it. But it will bring him down more than a notch in my view.